Cinema Plus, located on the 4th floor of the Ganja Mall, presents a new primer this Thursday as always. 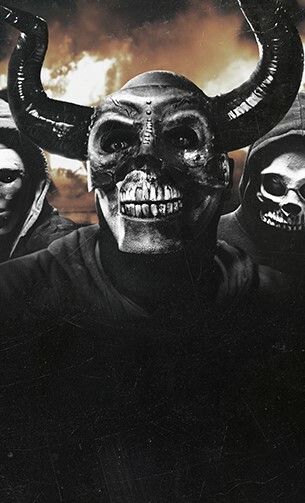 From 2nd of August , you can watch the movie "“The First Purge" at Ganja Mall Cinema. The film will be a prequel that will focus on the events that lead up to the very first Purge event. Led by Gerard McMurray, in the horror movie of the year, a new experiment is taken place in order to find ways to reduce crime rate in the country. During the experiment, aggression is allowed during one night in specially isolated area of the country. However, as rising aggression turns to be uncontrollable, the aggression passes the boundaries of the city and spread all over the country. You should visit to Cinema Plus located in Ganja Mall to share exciting and interesting moments with your friends and close ones and to watch the movie where main roles are played by the actors such as Marisa Tomei, Lex Scott Davis, Luna Lauren Velez.